20 Brilliant and Easy Ways To Use Baking Soda For You And Your Home: What is baking soda used for? Baking soda cleaning is fantastic if you have ever used the magical power of Baking soda. Baking soda has multipurpose uses In beauty uses, uses for skin and many more. Be it a heavy-duty oil in the kitchen, a blocked kitchen sink, yellowish teeth or under dark eye circle. problem is different, but the solution is one. Yes! It’s none other than baking soda that can turn things like a magic wand. So far we wear accustomed to using it in the kitchen for cooking or baking, but it is easy to do lots of hacks it for us with this white powder. Therefore sodium bicarbonate with the common chemical name of baking soda is a super essential ingredient that is helpful to make our life more comfortable. 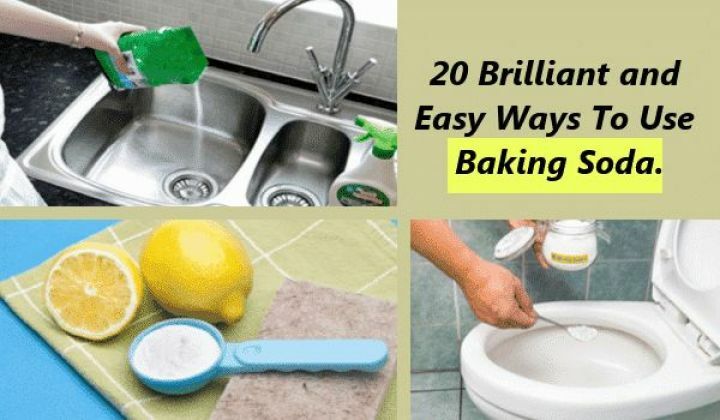 We are going to explore 20 Brilliant and Easy Ways To Use Baking Soda For You And Your Home which are uncommon and surprising enough. Baking soda is the colloquial name of sodium, bicarbonate, a chemical compound formed by sodium and bicarbonate ion. It is a white crystalline solid, but externally it appears as white powder-like dust. We also call it bicarbonate of soda. Baking soda is misidentified with baking powder. Baking soda is alkaline and releases carbon dioxide gas when reacted with acid compounds. Whereas, baking powder is a chemical which is dry and formed by chemical reactions of carbonate or bicarbonate with a weak acid. There are hundreds of unusual uses of baking soda, which are hard to believe. Considering its powder to exfoliate we can use it for our skin to treat acne, pimple and other skin rashes. It is also a perfect cleaning agent for kitchen tiles. So now check the uses segment wise. • In another bowl take one teaspoon of lemon juice or water. • Add the two to form a smooth paste. • Brush your teeth with this mixture, or you can apply with your fingers. • Do the process at least thrice a weak to get the whiteness. Mouth-freshening comes in the first row as far as personal hygiene is concerned. One of the unique uses of baking soda is to make oral freshener. It helps to make every corner of the mouth and the teeth crevices, gum and tongue clean where food residue may remain even after brushing. 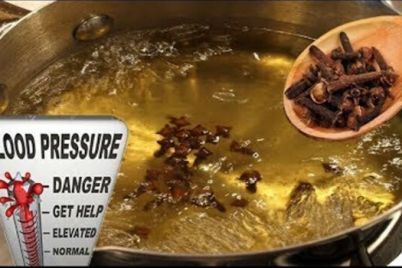 • Stir it well with one glass of warm water. • Drink this and swish inside the mouth and spit afterwards. we often buy branded toothpaste but won’t get that shining effect on teeth. So here is a day trick with baking soda. We can make our non-fluoride toothpaste with baking soda and other ingredients. • Take one teaspoon of baking soda. •Half teaspoon of sea salt. • One drop of peppermint oil or clove oil. • 2 to 3 drops of water. • Blend all the ingredients into a thick paste. • Dip your toothbrush into it and use it as regular toothpaste. If you want a quick exfoliation, there s no better option than to use baking soda as an exfoliator. Its gentle touch will soften the sebum and free your skin from dead skin. It’s the best treatment for oily skin as it facilities deep pore cleansing. 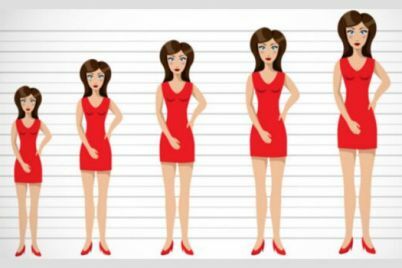 • You need one teaspoon of baking soda. • A small amount of water. (2-3 drops). • Vitamin E oil or you can use any other essential oil. • Blend all the ingredients to form a paste. • Wash your face with mild soap. • Apply a layer of the paste and massage gently in circular motion. • After massaging 2 or 3 minutes wash with lukewarm water and pat dry with a towel. • Use any skin toner. Although human sweat is odourless, it catches the bad smell after the bacteria break it down and it into acidic waste. If you do not want to use a chemical based deodorant every time, here is an innovative DIY trick for you. You can get your using baking soda deodorant by using baking soda as an alternative of your conventional deodorant. • Mix one teaspoon of baking soda into 2 to 3 drops of water. • The paste should have a thick consistency, so add water accordingly. • Wash your armpit and pat dry. • Apply baking soda paste. • Keep for 10 minutes and wash off. Canker sores are small painful ulcers inside the moth that makes us feel uncomfortable enough. Consuming many acidic fruits may cause such mouth ulcers. Also, the sharp end of the tooth causes such canker sores when rubbing against the tongue of the soft cavity wall. Wash inside the mouth with liquid baking powder solution. Our elbow and knee tend to get darker in comparison with our skin tone and needless to say it looks terrible. Therefore we, especially women always try some chemical based anti tan cream to solve this problem. But we never think of the easy solution from our kitchen. Yes, baking soda and potato juice is a good combination that can lighten your dark spots. • Take one tea spoon of baking soda in a bowl. • Peel of one small potato and great it to take out the juice. • Mix the two ingredients well to a medium consistency. • Use a moisturizer to soften your skin after washing the area. Waking up with a swollen eye is too embarrassing. Here is an easy solution for you from your kitchen shelf. Baking soda is the best home remedies to get rid of puffy eyes instantly. Baking soda has sodium as one of the key ingredients that help to pull out the water from under the eye area back into your bloodstream. Thus it helps to reduce the ingrowing puffs. • Add one tea spoon of baking soda with a little amount of warm water or tea liquor. • Put a cotton ball into the solution and make it wet. Then cover the under eye area for 15 to 20 minutes. • Wash off with normal water and apply moisturizer. • Repeat the process every alternative day. We silk instant relief from the stinging pain when getting any insect bite. Though Baking soda is not good for everyday use, it is effective to sooth any skin itching and redness occurs due to an insect bite. Baking soda is one of the key ingredients in many over the counter ointments. • Add one tea spoon of baking soda with few drops of water to make a smooth paste. • Apply it on the affected area like an ointment. • Wash after 20 minutes. Ingrown hairs are the hair ends that remain even after using hair removal cream. It makes the skin look darker. This ingrown hair can cause bacterial infection and produce pus-filled small pimple around the area. Baking soda can be very helpful to remove these hairs and reduce the bacterial infection. • Massage olive oil or castor oil on the affected area first. • Now make a thick, smooth paste of baking soda with few drops of water and cover the area where you want to remove ingrown hair. • Gently massage and keep it for 15 minutes. It will make your hairs soft and loose. Now remove the hair with the help of tweezers. • Clean the area with a cotton ball dipped in cold water to close the pores. Tough oil inside the micro oven can easily clean with pinches of baking soda without much effort. Just sprinkle baking soda and vinegar or lemon juice inside the oven. Allow it for seating for 30 minutes. Just scrub away the entire oily residue gently. To get a clean bathroom floor, we can use baking soda as a floor cleanser. Also, the bathtubs and wall tiles will get a new shine look make a dilute solution of baking soda with water and spray it over the tiles. Use a sponge to scrub it. Keep it for 15 min and then wash the floor. A clogged sink is something that happens all on a sudden, and it is very tough to find a comfortable and instant solution. But now as we are talking about some uncommon use of baking soda, cleaning clogged sink is one of the most vital use. • First, pour two glass of hot water down the skink pipe. • Now dump a ½ cup of baking soda into it. • After two minutes pour 1 cup of vinegar below the sink pipe. • Wait for a few mins and then pour two glass of hot water again. • Baking soda and vinegar are used to loosen the waste material inside the sink pip. With an explosive reaction, it makes the waste to jolt and make the way clear. Children have many talents, actually hidden talents. They mainly express their talent through drawing on the walls. There is no house in this world which didn’t suffer from this situation. We only just repaint the wall, but when your kid’s artistic talent gets printed on that wall again, all you have to do is to use baking soda. Uses a scrubber sprinkled with baking soda and rub on that picture of your little artist. The result you can see with your own eyes. Many leftover foods leave a mark on containers on which they are stored. To clean your containers, you should take a sponge and sprinkle some baking soda on it or soak it in a solution of baking soda (4 teaspoons) and a glass of hot water. Scrub the container thoroughly and wash.
It’s easy to get a clean carpet, cushions and heavy upholstery with baking soda. Make a baking soda solution with water and baking soda. Spray it on the carpets and sofa cushions. Leave it for few minutes and then clean with a vacuum cleaner. You don’t have to worry about your smelling fridge. Now with baking soda, you can ward off the foul smell instantly. keep a jar filled with baking soda inside the fridge. pour some essential oil into it. Keep the lid open and stir time to time to release the fragrance. It will absorb all the foul smell. Sweat makes our footwear to smell. To avoid it just sprinkle some baking soda and leave it for few minutes. Just tap it before use and a refresh shoe every time. To clean pet beds just sprinkle some baking soda on it. Wait for some minutes and then clean with a vacuum cleaner. You can buy baking soda in most super markets baking section or buy online. So, friends, these are some of the uncommon use of baking soda in our daily life. To make our workload more enjoyable, do try some of them and get the pleasure of getting the best result with low effort. Next Next post: What Will Happen If You Eat 12 Almonds Every Day for a Month?